INDUSTRY.co.id - Jakarta - Forbes magazine released a list of the 400 richest Americans in 2018 on Wednesday (03/10/2018). 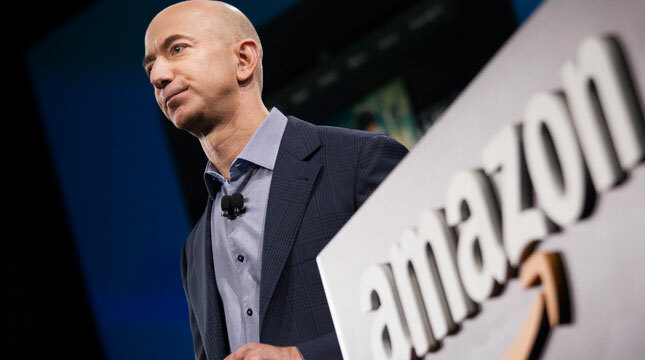 Amazon boss Jeff Bezos was ranked first on the list. Jeff Bezos's wealth skyrocketed to US $ 78.5 billion in one year, with a total net worth of US $ 160 billion. This is the highest number in the history of Forbes 400. Meanwhile, veteran investor Warren Buffett is in third place with a total wealth of US $ 88.3 billion. Then, Facebook founder Mark Zuckerberg is still in fourth position, even though his wealth dropped by US $ 10 billion compared to last year, to US $ 61 billion. Then in fifth place, there is Larry Ellison with a total net worth of US $ 58.4 billion. On the other hand, US President Donald Trump is only ranked 259 on the list of richest people in America. The value of his wealth remains the same from last year which was US $ 3.1 billion. However, last year, Trump was ranked 248. The youngest billionaire for the Forbes 400 version is Evan Spiegel, one of the founders and CEO of Snapchat. Spiegel, who is only 28 years old, has a wealth of US $ 2.3 billion. This figure dropped from US $ 3.1 billion in 2017. He is one of 12 miliaders under the age of 40. In total, the billionaires' net worth reaches US $ 2.9 trillion, up from US $ 2.7 trillion in 2017.